JIO Link Plans: Reliance Jio has newly launched the JioLink, which is basically launched to provide the outdoor 4G LTE services. The JioLink device is waterproof. And the device helps to improve the network speeds at crowded areas. JioLink device works on the 2300Mhz 4G band or Band 40; That is the JioLink will offer the fastest speeds ever. The JioLink device can be placed outside using a clamp. The JioLink device is powered by Power-over-Ethernet PoE adapter, which is connected to the box. The output of this router will be connected to the Wi-fi device. The Wi-fi router will be affixed in the box or not? Is not known clearly yet. JioLink CPE Router: A CPE device will be of similar size as the router device which is to be wall mounted at terrace or roof to catch signal directly from the tower. From this, a CAT-5 (Ethernet) cable will be installed (just like Dish TV or similar). The users can place it in the hall, terrace, or wherever they wish to place the device. This can also be connected directly to the computer using the wire. As per the reports, the JioLink router is imported from Malaysia and the Jio is importing over 100,000 units. In the year 2017, the Jio has announced the JioLink price as Rs 4400 per unit while as per the estimations, the device might cost around Rs 2,500 and the installation charges will be extra. CPE Device Charge Rs 2500 (the charge may become 2862.5 if taxes are charged as extra) for the installation + activation+ CPE device and first three months unlimited will be free. 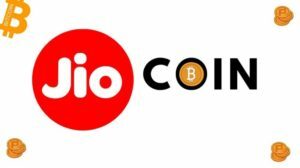 The Reliance Jio offers various JioLink recharge plans. Check various JioLink recharge plans and opt as per your convenience. 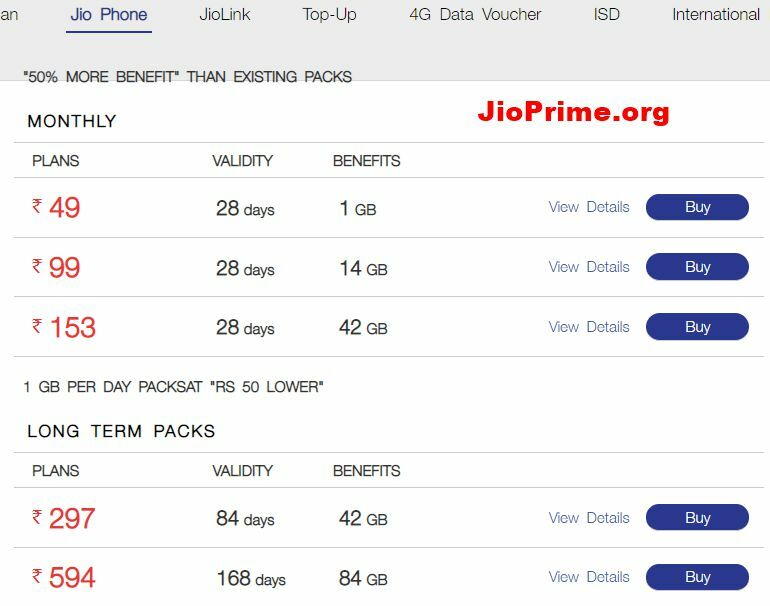 The JioLink monthly plan offers a total of 158 GB and the validity period is 28 days. It offers at a high speed (post which unlimited @ 64 Kbps) 5GB/Day pack + 16 GB. Users can get the complementary subscrption of Jio Apps and Free voice calls, and free SMS are not part of this plan. The JioLink quarterly plan offers a total of 538 GB and the validity period is 98 days. It offers at a high speed (post which unlimited @ 64 Kbps) 5GB/Day pack + 48 GB. Users can get the complementary subscrption of Jio Apps and Free voice calls, and free SMS are not part of this plan. The JioLink yearly plan offers a total of 1076 GB and the validity period is 196 days. It offers at a high speed (post which unlimited @ 64 Kbps) 5GB/Day pack + 96 GB. Users can get the complementary subscrption of Jio Apps and Free voice calls, and free SMS are not part of this plan. Note: These plans will work only for JioLink customer. Jio Postpaid Plan Rs 199: Jio has introduced the Postpaid plan with Rs 199. 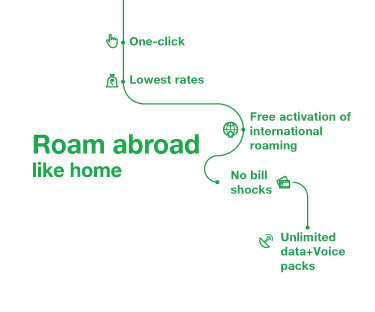 This plan doesn’t require any activation fee for international roaming. Reliance Jio has announced the postpaid plan on Thursday. Reliance Jio’s most recent offering under its postpaid plans is ‘zero touch’, which implies that clients don’t need to get the services on these postpaid plans initiated – they are pre-enacted. The least expensive JioPostpaid design is valued at Rs. 199. The Jio offers various postpaid services such as the internet, SMS, Voice Calling, International services and much more under Jio Postpaid plan. Users also can get the unlimited plan, auto-pay option, e-bill at fingertips and many other added advantages. Users can access the Jio Postpaid plan from 15th May onwards. With JioPostpaid, Reliance Jio said that it “will once again challenge the industry status-quo by offering the lowest tariffs in India and abroad to postpaid users, who end up paying disproportionately higher as compared to the prepaid segment”. 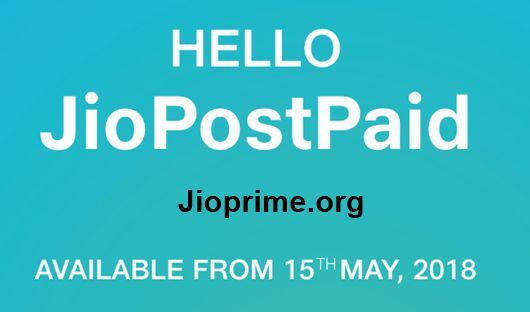 JioPostpaid plans will come into effect from May 15, 2018. What is the new postpaid plan launched by Jio 2018? Jio has launched a new postpaid plan which offers unlimited voice calls within India, unlimited SMS and access to premium Jio apps and 25 GB quota of high speed data for just Rs. 199 plus taxes per month. After exhausting the high speed data quota, the customer will be charged at an extremely low cost of Rs. 20 /GB. This postpaid plan of Reliance Jio offers 25 GB of data, alongside free and unlimited local, STD and roaming voice calls. Unlimited number of SMS or short message benefit is offered for nothing. 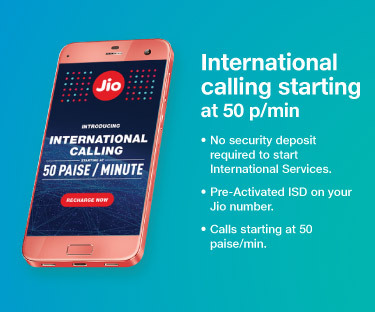 Global roaming can be initiated on this postpaid plan of Jio with a single tick and zero cost. Every single postpaid service, such as internet, voice, SMS, global calling will be pre-initiated in this postpaid plan of Jio. As far as possible offered in this postpaid plan of Jio is unlimited and it likewise takes into account free membership of all Jio apps, Jio tragic in an official articulation. Increase Credit Limit: Increase your Credit Limit to your desire amount and enjoy Jio services without restrictions. Step 3: Increase credit limit and Pay. No Security deposit required to start International services. Calls Starting at 50 Paise/min. How do I apply for the new postpaid plan? If you are applying for a new postpaid connection, then please walk-in to any of the Jio stores with your Aadhaar card OR photo, photo-id and address proof. A refundable security deposit of Rs. 250 will be charged for Rs. 199 plan in addition to JioPrime membership fee of Rs. 99. If you are applying for a postpaid connection in Jammu & Kashmir, then instead of refundable deposit an advance rental is payable. If you are an existing Jio postpaid customer, please login to MyJio app / Jio.com and click on “Change Plan”. You will be asked to pay a refundable security deposit as per the chosen plan. The new plan will be applicable from the next bill cycle. Any deposit paid for earlier postpaid plan, will be adjusted in the subsequent bill. I opted for this newly launched postpaid plan in the mid of the Bill Cycle. How much data will I get? Plan Entitlements (including Data) are assigned on Prorated basis for the first Bill Cycle. From the next Bill Cycle onwards, you will get the benefits for the complete bill cycle. For e.g. if you have taken the connection on 15th of the month for a plan which given 2x GB data per month and the bill cycle is 1st of every month, then first bill will be generated for 15 days only and you will get x GB data for 15 days. Idea Rs 179 Recharge: The idea has introduced the best recharge plan with Rs 179 on Monday to counter its competitor network Reliance Jio. Idea Rs179 Recharge plan gives 1GB Data per day and unlimited voice calls for a period of 28 days. The Idea 179 recharge can be done through Idea app MyIdea or from the Idea website. The Idea is offering the most affordable recharge plan when compared with the other networks. The pre-paid offers war is going on in between the mobile services. Recently, the Jio, Airtel, and Vodafone have launched various offers with same privileges of 1GB Data and free voice calls. Airtel has recently announced Rs 448 recharge plan with 1GB 3G/4G Data per day, and free voice calls, 100 SMS for 70 Days. While the Reliance Jio has increased the data limit on Rs 149 recharge plan. “In today’s world of absolute connectivity, a phone call from an old friend still brings a smile to our face, and this is the creative concept of the campaign. With our Rs 179 recharge we will enable customers to continue their conversations non-stop,” Sashi Shankar, chief marketing officer, Idea Cellular said. Recharge via My Idea App/Website and get 250MB More. Idea subscribers can get unlimited local/STD calls with recharge of Rs 179. All local, roaming calls across India are free for 28 days using the Rs 179 recharge plan for prepaid users. Earlier, Idea revealed a Rs 357 plan offering 1GB data for each day to endorsers. Idea’s Rs 357 plan, that appears to have been launched to go up against Jio’s official Rs 399 plan, offers unlimited (local and STD) calls and 1GB data for each day, and 100 SMS. Once more, roaming isn’t free. 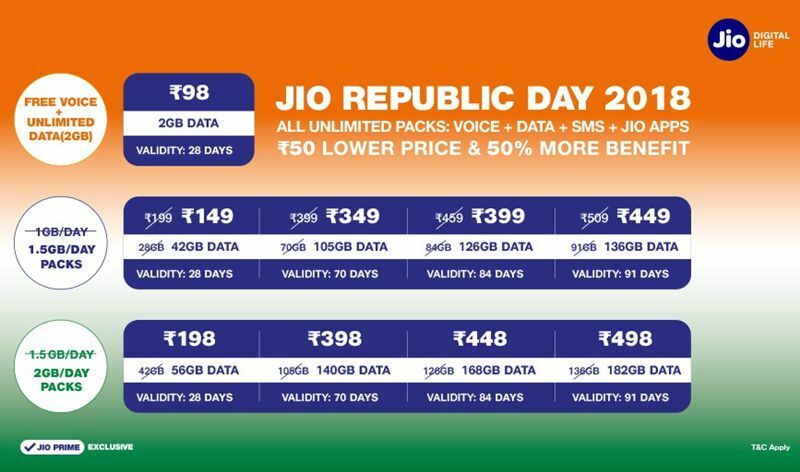 Jio’s Rs 399 plan, in the meantime, offers free roaming also, notwithstanding unlimited voice calling and 1GB data for each day. Also, Jio’S Rs 399 plan has a validity of 70 days while Idea’s Rs 357 plan accompanies a validity of 28 days. Idea offers unlimited calls, 1GB everyday data and 100 SMS with a validity of 70 days; in any case, the plan that covers these viewpoints is selective for the Delhi-NCR hover until further notice. Idea isn’t the main telecom executive taking off new calling plans, everywhere, nowadays. Airtel just as of late pushed another Rs 448 plan for prepaid clients to go up against Jio’s Rs 399 plan. Airtel’s Rs 448 plan offers 70GB 3G/4G data: 1GB 3G/4G data for every day for a time of 70 days. Idea is at present during the time spent finishing its deal to Vodafone. The plan that was reported a couple of months sooner is probably going to shut in the following couple of months. 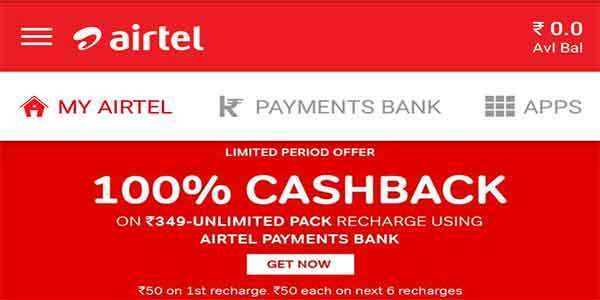 Airtel Offers 100 Percent Cashback on Rs 349 Recharge for Prepaid Users – How To Get Recharge Online? Airtel is going to offer 100% cashback on recharge of Rs 349. This offer is exclusively valid for prepaid users. Users purchasing from Airtel Payments Bank are only eligible to avail this offer. The Airtel Payments Bank is specially combined with Airtel to promote the adoption of service by Airtel. 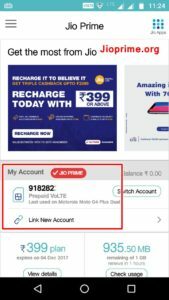 Recently the Reliance has announced Rs 399 Recharge plan with 100% cash back. This Airtel’s Rs 349 offer is also almost similar to the Jio’s Cashback offer. Airtel 349 Full Recharge Cashback : The Airtel’s Rs 349 100% cashback offer will fives the cash back in 7 instalments for 7 weeks. On every recharge Rs 50 discount will be given by the Airtel, The Rs. 50 cashback will be included the Airtel Payments Bank account and connected consequently while purchasing a revive, and will be given only once in a month. You can use the whole for different exchanges made through the Payments Bank account also, not only the Airtel recharge. Prominently, the cashback will be given only from the second month from the date of recharge. To benefit the offer, the prepaid clients need to buy the Rs. 349 plan only from the MyAirtel application. Rs. 349 plan gives clients 28GB of data, at 1GB every day. Along with this, it accompanies bundled local and STD calls, and has validity of 28 days. Clients will get 1,000 minutes of calls packaged every week with no charges; The calls will be charged at 10 paisa for each minute for calls to Airtel numbers, and 30 paisa for each moment for calls to different systems. Correspondingly, the free calls are constrained to 250 minutes for every day, after which a similar 10 paisa for every moment, and 30 paisa for every moment taxes are required for calls to Airtel and different systems, individually. The strict competition is going on between the Jio and Airtel since last year. Over the previous year, while officials began offering data and calls bundled in generally reasonable plans, Jio has consistently been making its plans more in accordance with industry requirements. In the most recent tax update on Diwali, the organization has raised the costs of its most prominent prepaid plan, and reduced the validity of the postpaid plans; the post-FUP speed has also been cut down the half.